The .38 Special is a rimmed centerfire cartridge that was created by the legendary company Smith and Wesson in 1898. It was the gold standard for law enforcement agencies all around the country for 70 years and also enjoyed extensive use during World War I. 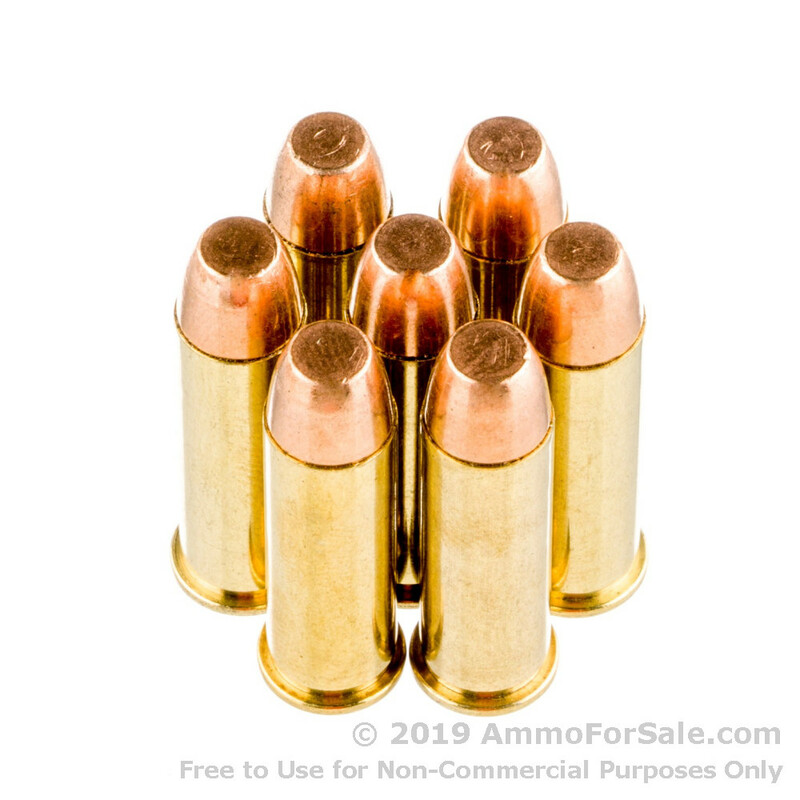 In the United States it is known as the .38 Special, but in other parts of the world, it’s called the 9x29.5mmR or the 9.1x29mmR for its metric measurements. It’s most favored for accuracy in close quarters and is known for having minimal recoil. Because the cartridge was born during the era of black powder, it is a low-pressure cartridge, although there are higher-pressure loads available. But if you want to keep that almost nonexistent recoil, you want to stick to lower-pressure rounds like these. Practice is important to all shooters, whether new or experienced, and that’s what these FMJ rounds are meant for: target practice, tactical training, and plinking. At 130 grain they’re pretty lightweight, which means they’re capable of greater speeds than heavier rounds. They have a muzzle velocity of 800 feet per second and a muzzle energy of 185 foot-pounds. 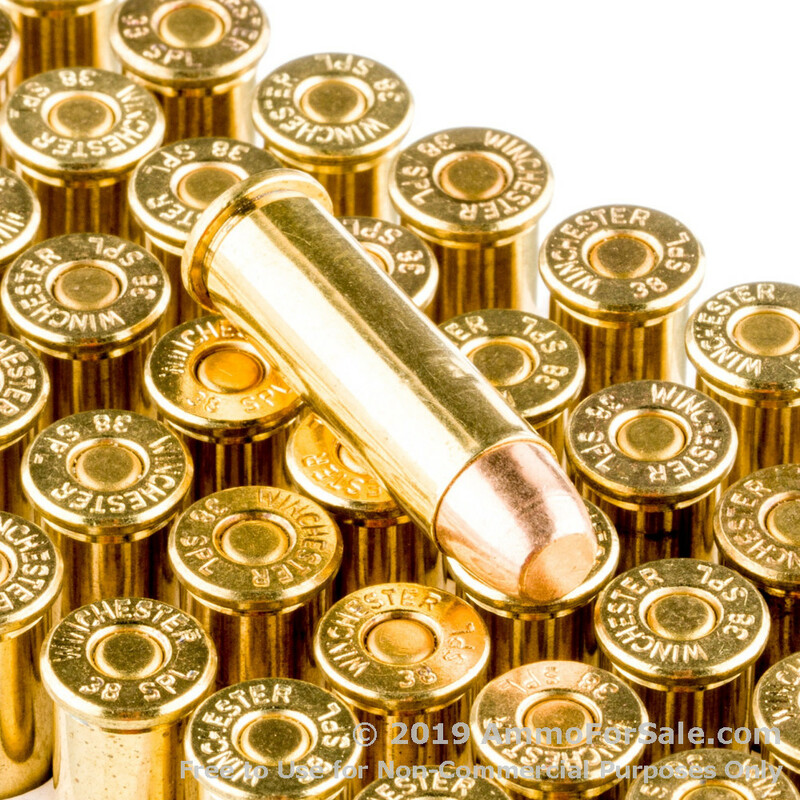 Winchester manufactures these rounds in new production, fresh brass cases with boxer primer, so you can fire them all, collect your spent brass, reload, and go back out and do it again. They’re also designed to be non-corrosive, which is easier on the barrel of your gun. 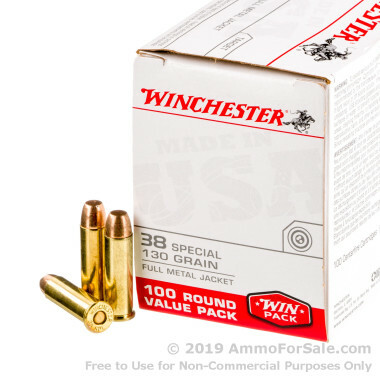 For 150 years, Winchester has been producing quality ammunition. Although they’re well-known for producing The Gun That Won The West, among others, it isn’t just firearms they have a talent for. This is American-made ammunition produced to stringent standards by highly trained Winchester personnel, and if you want follow in the firearms footsteps of your father and your father’s father, you’ll buy Winchester, too. You get 100 target rounds in this box of ammunition, so you can tuck it into your range bag and dedicate some time to target practice. Isn’t it time you took your .38 Special out to play?